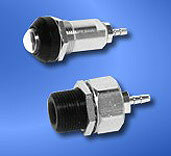 The Air Indicator promotes a compact design with multiple configurations to observe the presence of pressure. 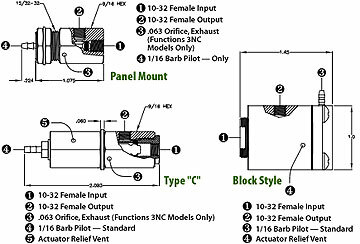 The Air Indicator lens displays clear in the absence of pressure and displays Bright when activated at approximately 5 psi. 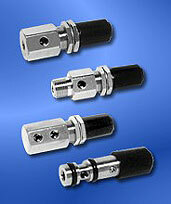 Air Indicators are available with Red or Green Display and Black or Gray Panel Mount Bezel. 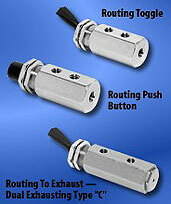 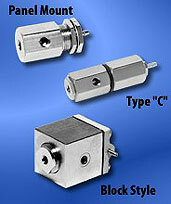 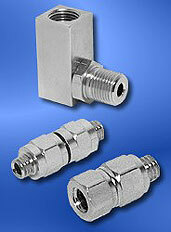 The Panel Mount Air Indicator requires a .500 hole and is supplied with one Electroless Nickel Plated Panel Nut. 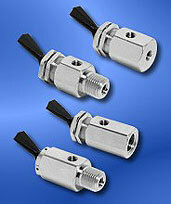 The Shuttle Valve Series promotes a compact design with multiple end configurations to fit the exact end use application. 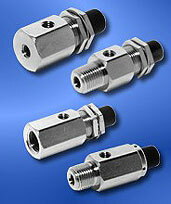 The Shuttle Valves incorporate a double o-ring guided piston to provide a positive seal at approximately 1/2 psi pressure differential between the Side Inlet Ports. 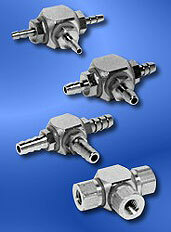 The Shuttle Valves are Electroless Nickel Plated Brass inside and out.